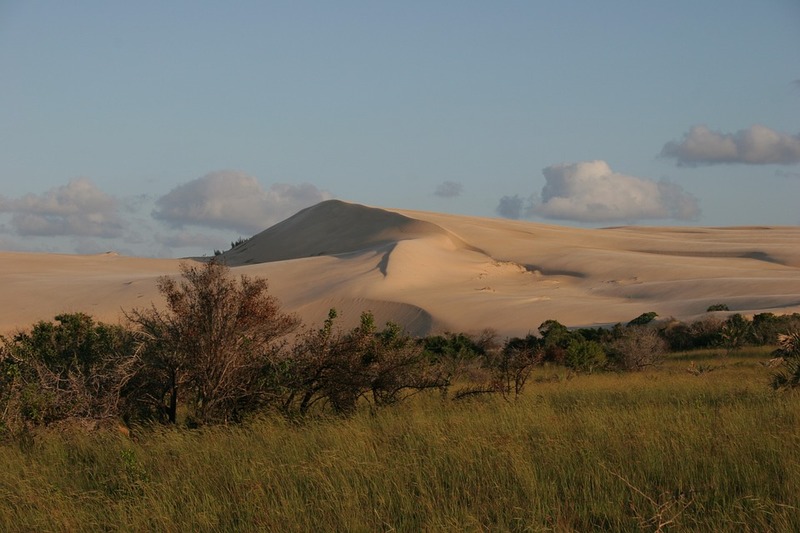 The Bazaruto Archipelago is a combination of six spectacular islands located just off the coast of Mozambique. The largest of the six, and arguably the most beautiful, is the Instagram Island of Bazaruto. It's a picture-perfect, sandy-beached beauty that hosts an impressive ecosystem and unique set of landscapes that will defy your preconceived ideas about what an island should be. This tranquil island is host to small inland lakes, marshy wetlands and evergreen forests as well as steep sand dunes, rather surprising for an island. On the backdrop of this stunning beauty is a coral reef that is home to over 2000 different species of fish, some of them endangered. Bazaruto is also home to one of the biggest marine reserves on this side of the Sahara. The presence of the reserve is bolstered by the presence of a natural pool commonly referred by the locals as ‘The Aquarium’ where a collection of rare marine life species thrive. These include the likes of the manta ray, Humpback whales, Whale shark and the rare African dugong. What's more, the Bazaruto Marine Park is a recognized protected area for the breeding of endangered Indian Ocean turtles. The sheer variety of activities makes Bazaruto the perfect island safari destination. One can expect unspoiled beaches and is popular for several watersports such as kayaking and parasailing in the calm, turquoise waters. For the more adventurous; surfing, scuba diving, dhow safaris, and game fishing should find a place in your 'things to do' itinerary while on the island. Recently, there has been a proliferation of new things that you can try in Bazaruto such as horse riding on the secluded, idyllic beaches, fly fishing, deep sea snorkeling, catamaran cruises and a series of romantic castaway picnics. Bazaruto Island has that familiar rural oceanic feel that invokes the pleasant sensation of being lost in the middle of nowhere, away from the usual bustle of our busy lifestyles. In fact, if you're craving for a therapeutic, and rejuvenating vacation, then Bazaruto gives you all that and then some more. Above all, Bazaruto offers its guests fantastic views of a shimmering sandy beach interspersed with a lush evergreen tropical backdrop. Couple this with the collection of luxury hotels and tourist lodges that can be found here and you have the perfect honeymoon or birthday party destination. Not to mention that you can visit the islands any time of the year and still savor these amazing views, sights, and sounds.